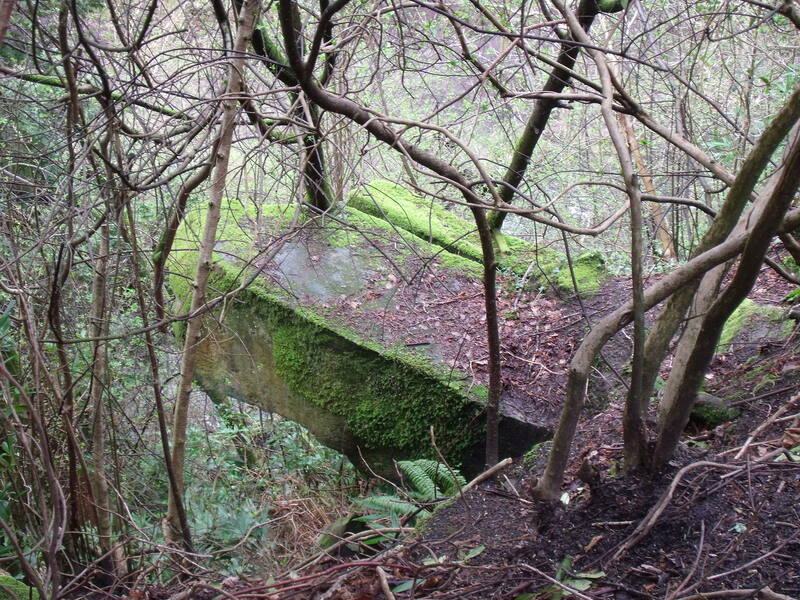 The Printers’ Stone, one of the overgrown rock exposures in Rouken Glen. © Steve Edwards. Rouken Glen, a varied and very popular park in Giffnock, is a geological SSSI that features a nationally important Carboniferous rock sequence. The natural rock faces add to the scenic value of the Park and are of significant educational value. Recently, the geological features have benefited as part of major improvement works in the park, funded through the Heritage Lottery Fund’s Parks for People programme and East Renfrewshire Council. The geology was being lost through landslips and vegetation growth. A broad programme of park enhancement works and initiatives is now underway including more than £56,000 being allocated specifically to restore the park’s geological assets. Given the popularity of the park and the very challenging topography of Rouken Glen, detailed geotechnical evaluation was undertaken with recommendations for enhancement work on 25 different rock exposures and specialist abseiling contractors were appointed for this task. This allowed the preparation of a five year Geodiversity Conservation Management Plan for Rouken Glen and work is now well underway to restore this geological gem.